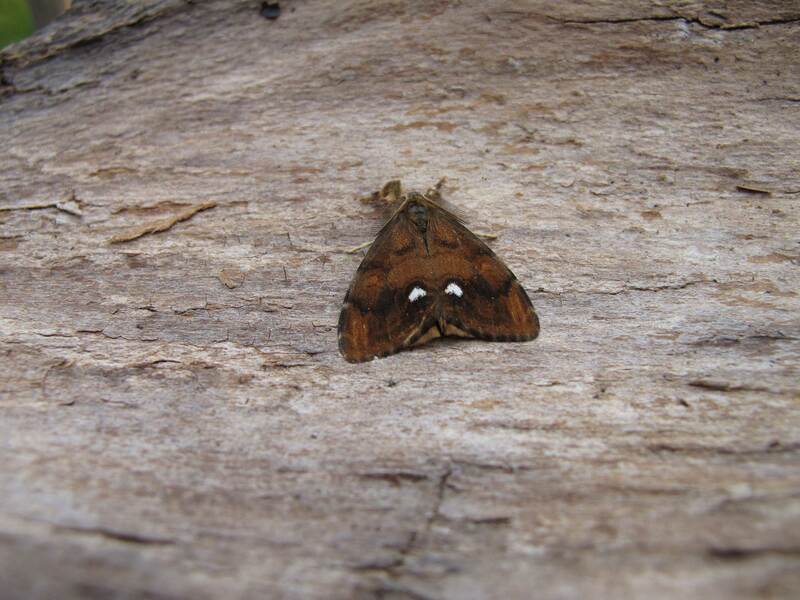 An orangey-brown species commonly seen flying around trees and along hedgerows in an erratic rapid flight on sunny days in late summer. Well known to those seeking Brown Hairstreaks as it can look quite similar if seen briefly around Ash trees! All the flying individuals are male, seeking the wing-less females that remain with their cocoon. Sometimes the males alight on prominent places such as walls, trees – or even road signs – when their exaggerated combed antennae can be seen to advantage. Most native trees and shrubs, and also some cultivated plants. Can be a pest like some of its relatives, defoliating small trees. Found pretty well everywhere even in towns.